In a perfect world, an artist would be able to sell their original artwork outright to a gallery for a reasonable fair market price, upon which point it would be the art gallery’s sole responsibility and risk to sell the art for its own profit. Unfortunately for artists, that world does not exist. Art galleries cannot always predict the commercial appeal of works of art and instead rely on a consignment sales model to operate their businesses. An art consignment agreement is a contract between an artist and gallery where the artist provides the gallery art at (typically) no cost and, in exchange, the gallery agrees to sell the art for a commission. Generally speaking, a starting point for the gallery’s commission starts at 50%. While that commission may seem high at first to an artist, this arrangement is often beneficial for both parties, as an artist can greatly benefit from a gallery’s expertise in selling art and creating exposure for the artist. Many artists are often reluctant to negotiate an art consignment agreement with art galleries as they believe whatever exposure they can get is worth more than potentially blowing an opportunity for an exhibition by haggling over a contract. Likewise, many galleries opt to avoid entering into written art consignment agreements with artists for the same reason, as they want to throw less paperwork at the artist so they can get their hands on the artwork they want to sell.This is undoubtedly a mistake for both parties. Above all else, an art consignment relationship is a business transaction with inherent risks. While the end result of an art consignment relationship — the sale of art — is mutually beneficial to both parties, it is imperative that an artist and gallery each formalize their art consignment agreement in writing so that both parties understand their rights and protections. It’s an essential document in the event of a successful sale of art, and even more so in the worst-case scenarios, such as if the artwork is damaged or the artist misrepresents the work. There are many ways to structure an art consignment agreement between an artist and gallery, but here are some of the more major deal points and questions each party should be considering. An art consignment agreement should outline essential terms like the length and nature of the contract. The majority of terms in an art consignment relationship delineate how the relationship will be treated by the artist and the gallery. Exclusivity – Is the agency grant exclusive or non-exclusive? Can an artist contract with another gallery for the same artwork? Does the gallery maintain a right of first refusal on future pieces of artwork created by the artist during a specified time period? Geography – Is the agency grant restricted to a certain geographic area and can the artist contract with a different gallery outside the area? Length – How long is the agency grant for? Identification – The consignment agreement should clearly identify the artwork being given to the gallery, including any size or quantity requirements or restrictions. Inventory – How is the gallery storing the work? In a warehouse, with or without air conditioning? What are the gallery’s on-going inventory obligations to the artist? Does the gallery report to the artist on inventory stock every few months? Does the artist have an inventory inspection right to be able to go to the gallery at specified times and inspect the artwork to ensure there is no damage? Mutual determination – Are both the artist and gallery setting the prices together? Sole determination – Does the artist or gallery have unfettered power to set or negotiate the pricing? Galleries often demand to set the pricing so they have greater control over their business, as well as having more market expertise in selling artwork to buyers. In such situations, an artist should ask a gallery to have a meaningful, good faith consultation prior to the pricing being set, so even if the gallery ultimately decides on the pricing, the artist’s perspectives must be taken into account. It’s also suggested that an artist and gallery decide how far they’re willing to negotiate before determining whether to make the sale. Pricing Tiers / Terms – Is there different pricing for bulk/wholesale deals? What about the gallery using its discretion to offer a discount to a buyer at an art fair to seal the deal? In such an event, does the discount come out of the gallery’s commission, artist’s profit, or both? Is a buyer allowed to pay in installments and if so, who gets paid first, the artist or gallery? What about returns where the artist has already been paid? These are all considerations to make and define within your art consignment agreement. Commission – How much is the gallery getting paid for each sale? Often, galleries wish to split profits with the artist. As one can imagine, artists strive to receive a greater share. This often comes down to the bargaining power of each party, as a well-known gallery or artist with a proven track record of sales can typically negotiate a better compensation split. Accounting – Is the gallery holding sums in trust for the artist? Does money from sales sit in an escrow account, or will the artist be paid once a sale is made? If not, how often does the gallery pay the artist once money is received? Your art consignment agreement should be very clear on these terms, as its not uncommon for artists to find themselves in a non-payment situation when a gallery falls upon hard times. Advances / Gallery Purchase – While not the norm, is the gallery advancing any sums to the artist in connection with the projected future sale of artwork? Is the gallery purchasing a portion of the artwork from the artist as a showing of good faith so the artist can get paid a little faster? Expenses – Who is paying for the initial transportation costs of the artwork to the gallery? Who pays for the promotional materials created by the gallery? Is this the cost of the gallery, artist, or split between the parties? What about framing or other presentation materials? If the artist is on the hook for any expenses, the artist should ask the gallery for approval of expenses over a negotiated monetary threshold, and anything not approved above that line should be attributable solely to the gallery. Likewise, the artist should require the gallery to maintain receipts of bona fide expenses and if such expenses aren’t sufficiently documented, they do not get counted as an expense. Determine how accounting and inventory management will be handled under your art consignment agreement. Another important term within an art consignment agreement is defining who can claim title to the work. Under the Uniform Commercial Code (the body of law that governs all sales transactions in the United States), the title, or ownership, to artwork will typically transfer to the buyer at the time of sale, even if payment has not been made in full (such as in an installment payment scenario). In the event the buyer fails to make full and final payment to the gallery, the artist and gallery may not have recourse against the buyer to reclaim the piece of art and may only be able to seek monetary damages against the buyer. Both the gallery and artist should ensure in an art consignment agreement that the gallery is selling the artist’s work pursuant to a written agreement with a buyer that specifies that title to the artwork does not transfer to the buyer until after the buyer has paid in full. This way the gallery or artist can reclaim the physical piece of artwork if they haven’t been paid in full for the artwork. Creditor Concerns – The consignment agreement should also clearly state that the artwork is titled in the name of the artist not the gallery (unless of course, the gallery purchased some inventory). This is an incredibly important term and best shown by an example. Let’s say a gallery goes bankrupt and the gallery’s landlord takes possession of everything in the gallery pursuant to the gallery’s lease agreement. Can the landlord sell an artist’s work being kept by the gallery on consignment to pay the gallery’s back rent? There are scenarios where a landlord can, in fact, do so if an art consignment agreement does not address that the artwork is not an asset of the gallery. The artwork can be presumed to be the property of the gallery, as it was inside the property at the time of repossession and the landlord may have a right to sell the artwork without accounting to the artist. If this happens, the artist would likely not have legal recourse against the landlord, and would have to look to the gallery to get paid. 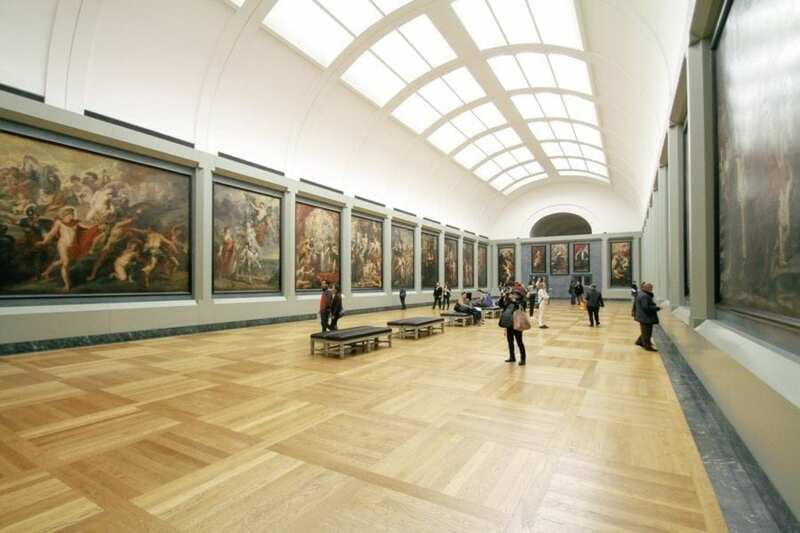 While some states have passed statutes protecting creditor seizures of artwork in consignment arrangements, an artist should strive for the best protection possible and make it extremely clear in an art consignment agreement that the artwork is not the property of the gallery. 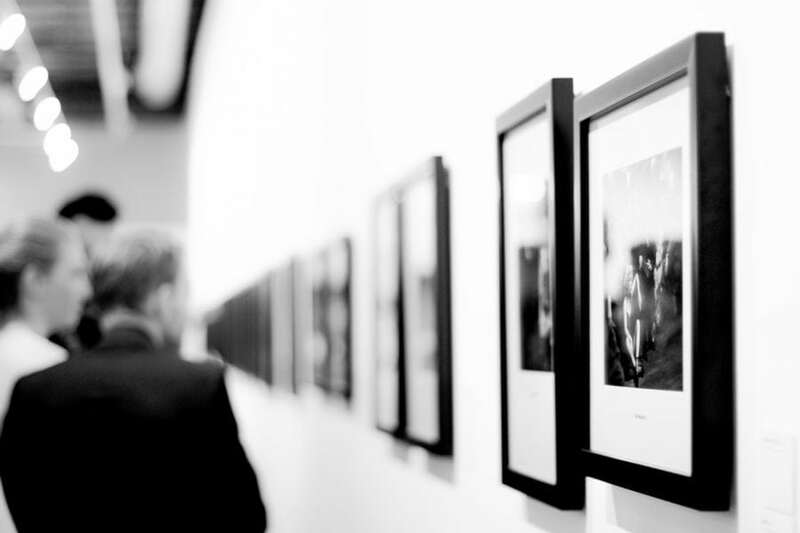 While it is likely that a gallery will market the artwork they have for sale, it is still important to make sure that parties to an art consignment agreement understand what is expected of them in regards to marketing the artwork. Gallery – Has the gallery promised to expend a certain amount of time and energy on marketing? Are there minimum days required for showcasing the artwork in the gallery or regional/national art fairs? Who is paying for the marketing materials, the gallery, or are marketing costs treated as an expense and come off the top of monies received or out of artist’s share? Artist – Does the artist have a requirement to appear for personal appearances, press, or post messages on social media? While it may seem obvious that an artist should help the gallery sell the artist’s artwork, a gallery should require the artist to engage in some marketing activities. Likeness rights – Does the gallery have the right to use the artist’s name, likeness, and biographical materials in connection with the sale of artwork? Such publicity rights belong to the artist and the gallery should have approval to use those materials in writing. Insuring the work and making sure its adequately transported is also an important consideration within an art consignment agreement. Risk of loss – Who bears the burden of loss in the event the artwork is destroyed or damaged? Typically, the gallery will assume this risk when storing product, but what is an artist supposed to do if the gallery does not get insurance and the artwork is destroyed through no fault of either party? This is not a situation either party wants to get into. Likewise, what happens when the work is transported to and from the gallery? The parties should determine who has the insurance obligation and require the other party to name them as an additional insured on the policy. Insurance Amounts – Will the insurance cover the replacement cost of the artwork? Wholesale price? Expected total profit? Damages / Indemnification – In the event that one of the parties breaches the agreement, is the breaching party required to pay all of the damages the other party incurs, or do the parties incur their own legal costs? Some remedies, such as attorney’s fees, lost profits, or injunctions, will need to be specifically set forth in the contract to be enforceable. Copyright – The parties should discuss a declaration that states the artist warrants that they own all right, title, and interest in the artwork and that the artist is not conveying the underlying copyright in the artwork to the gallery as part of the consignment agreement. Morals Clause – If one of the parties engages in an action that adversely impacts the art consignment agreement, such as creating bad press by defaming someone in the media or being arrested for a felony, can the parties terminate the agreement? Choice Of Law – In the event of a dispute, where will the parties settle their dispute? 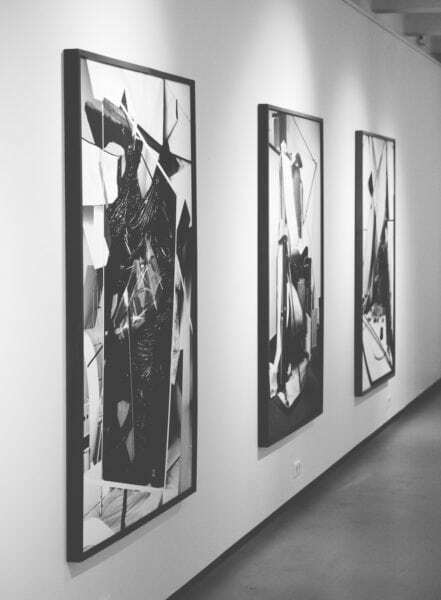 An artist and gallery may be located in different states, if not internationally, so the parties should determine the proper forum in the unfortunate event a dispute arises. Likewise, some jurisdictions have laws concerning consignment relationships. For instance, in Florida a gallery must hold money owed to an artist in trust and affix the artist’s name on artwork being sold. In Oregon, a gallery must keep heightened sale records and provide an artist the names of customers for artwork sold over $100. A gallery and artist should be aware of any additional local requirements as these laws may need to be addressed in an art consignment agreement. When approaching an art consignment agreement, an artist or gallery shouldn’t be scared of negotiating a written agreement. A consignment agreement is often mutually beneficial and can help solve problems before they happen by clearly specifying what each party is to do in a given situation. Artists should not be scared to propose changes to an art consignment agreement, as artists are the owners of the product being sold. Any astute gallery will not be scared away if you’re reasonably negotiating sales and commission terms. If a gallery balks at reasonable questions or comments, that may be an indicator they are not the right fit for you. Likewise for the gallery, if an artist refuses to sign a contract, you are putting yourself at risk without proper copyright warranties, indemnification, and other terms. Louis Smoller is an intellectual property, commercial, entertainment, and media attorney with over 7 years of experience. His practice involves both transactional and litigation services. Louis has worked hands-on with a wide variety of content creators, new media entrepreneurs, and other creative industry professionals (musicians, photographers, artists, writers, performers, etc.) during his career including representing major digital start-ups, major and independent music labels, publishers, and musicians, event companies, media production companies, marketing companies, art galleries, and sports organization. My sister wanted to sell her artwork in a gallery and earn money. It was explained here that an art consignment is between an artist and a gallery. Moreover, it’s recommended to talk to shopping experts when considering consignment marketplace.